I'll make the first post in the new SFR Military Shotgun Section! One of my best friends who lives in Ohio, made me a deal I couldn't resist. My Springfield Armory, Inc. M1A in a wood military stock, for his Winchester Model 1897 Riot Gun. My friend is very happy with his new rifle and I am (still since we made the trade) overwhelmed by my new shotgun! Here's some photos of my Ohio National Guard/Ohio Department of Corrections (probably) 1940 Riot Shotgun. 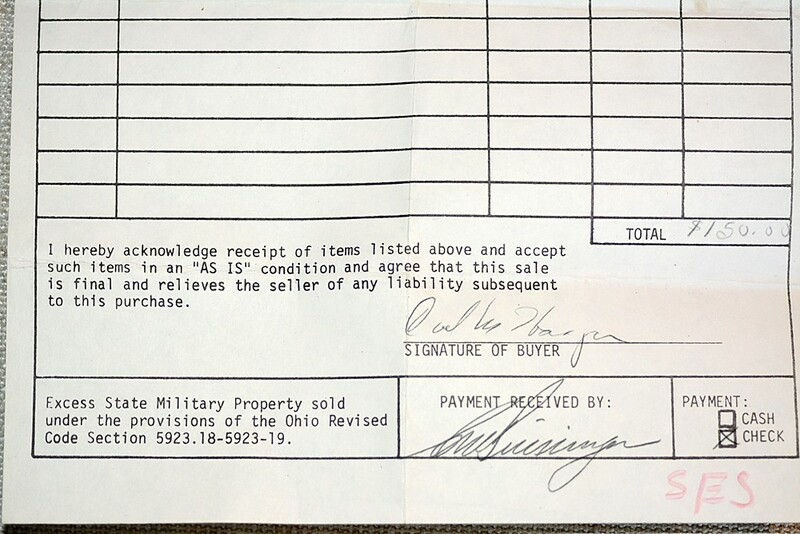 It has the correct 20" barrel; cylinder choke; and came with the sales receipt in 1976 from the State Adjutant Generals Office as "excess military equipment." I haven't seen lots of 1897s but this is sure clean! Boy, those Ohio guns sure do travel, and travel well! That is a great looking gun. Good thread! When the Illinois State Police traded their mod. 97s to Starved Rock Shooters Supply(near Ottawa Il.) I bought two in one day for $147.00 each but, alas, they aren't with me anymore. Il. 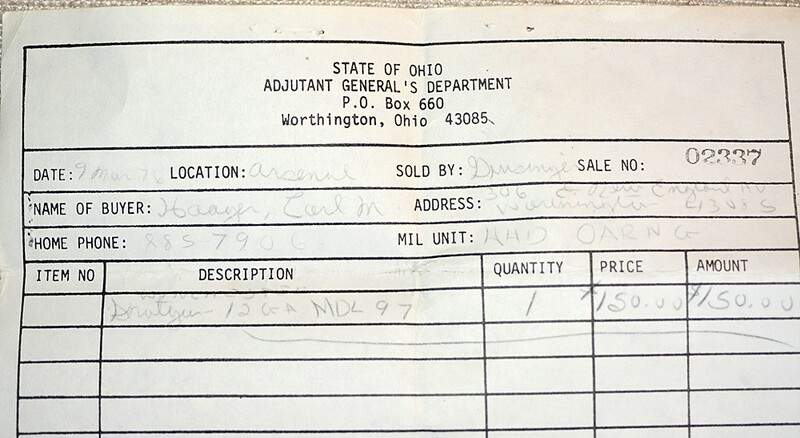 Il State Police burned into their stocks, hang tag with Officers name that carried them. I've since upgraded to a Win. 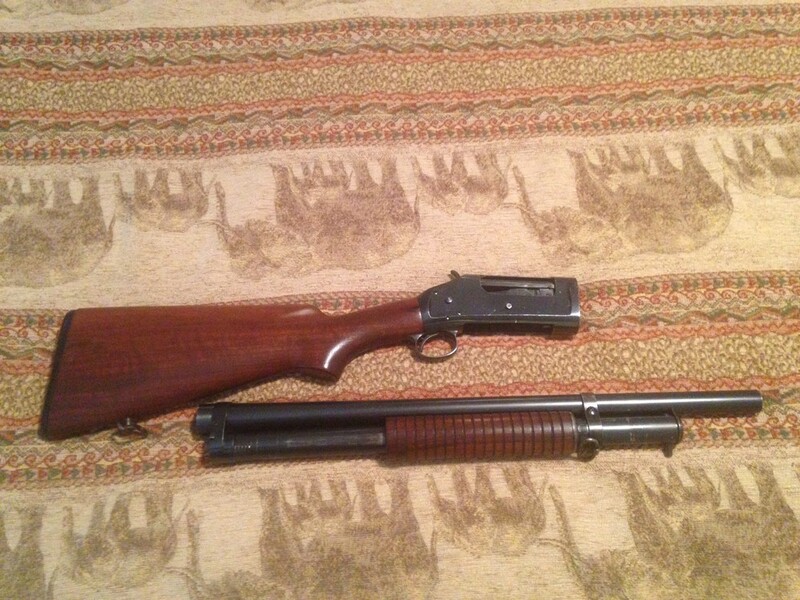 model 12 with riot barrel. I have a solid frame model 97 riot gun. Mine was made in 1909 and is marked IP. A deputy that I used to supervise told me that he had seen a lot of the 97 riot guns marked IP and they came off Indian Reservations with the IP standing for Indian Police. Mine does not have much of a finish but internally it appears that it was never shot very much. I take mine out and shoot it occasionally. Use to shoot it in Cowboy Action Matches but switched to doubles.